Photo by Brandon Macz: A decision about whether to transfer The Central property to nonprofit operator Sound Generations is still pending an assessment by an interdepartmental team formed by Mayor Jenny Durkan. Seattle Mayor Jenny Durkan expects an interdepartmental team to produce a report in March assessing whether the Central Area Senior Center property should be transferred to its nonprofit operator. The Seattle City Council passed a budget last year that includes a resolution calling for the transfer of several municipal properties to nonprofits using them to the benefit of residents. Among those properties is the Central Area Senior Center, operated by Sound Generations (formerly United Way’s Senior Services) in Leschi. The Central director Dian Ferguson has been working on righting the center’s finances and meeting all of the criteria requested by the city before a property transfer can take place since starting there in 2014. While The Central has a lot of value to the Central District’s senior population, Durkan has been pushing for the creation of more affordable housing in Seattle using city-owned property when feasible. The gross square footage of The Central building is 9,748, but it is located on 57,600 square feet of city-owned land. Ferguson argues the redevelopment potential for the property as affordable housing is minimized by the significant slope south of the building. She told MPT in January that around $180,000 has been spent to meet the city’s requests for exploring a potential property transfer. There is the ability to possibly develop an additional floor above the dining hall, but The Central currently can’t obtain grants and other financing because it does not own the building. The Central is one of six properties the city owns and leases to nonprofits, according to the mayor’s office, but their market value has not been assessed. The state Legislature eliminated the need for revaluation of government property in 2013. 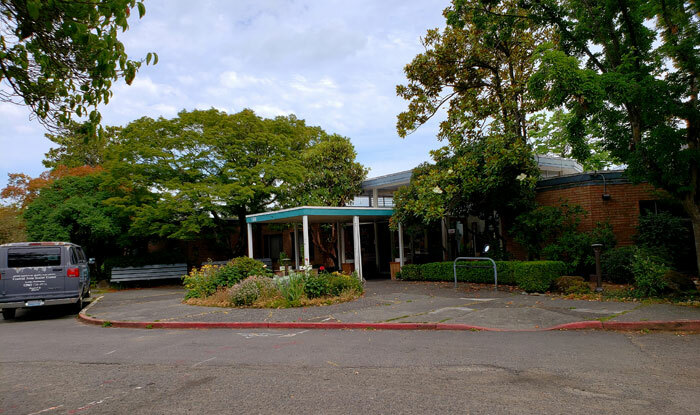 The Greenwood Senior Center, which is another city-owned property the city council wants to transfer to its nonprofit operator, was assessed at $1.9 million in 2013, and a nearby property was sold for $5.6 million in 2018, according to the mayor’s office. An interdepartmental team that includes the mayor’s office, Office of Economic Development, Office of Planning and Community Development and Finance and Administrative Services was formed in September to determine organizational readiness for property transfer of Mutually Offsetting Benefit (MOB) buildings. Criteria are expected to be transmitted to the city council in March. The green sheet approved by the council in November called for a report on The Central and two other properties it wants to transfer to nonprofits to be provided by the mayor’s office by Feb. 1. Another potential hindrance to transferring these properties relates to how they were initially acquired. If state or federal funds were used, there’s a possibility that those funds would have to be repaid if the properties were sold or transferred.